Get ready for your destination wedding! Create your custom wedding invitations, using unique seeded papers, plantable into wildflowers. Choose from popular destination wedding themes like beach, tropical forest in Brazil, Caribbean islands, or a winery (Napa or Sonoma perhaps?). 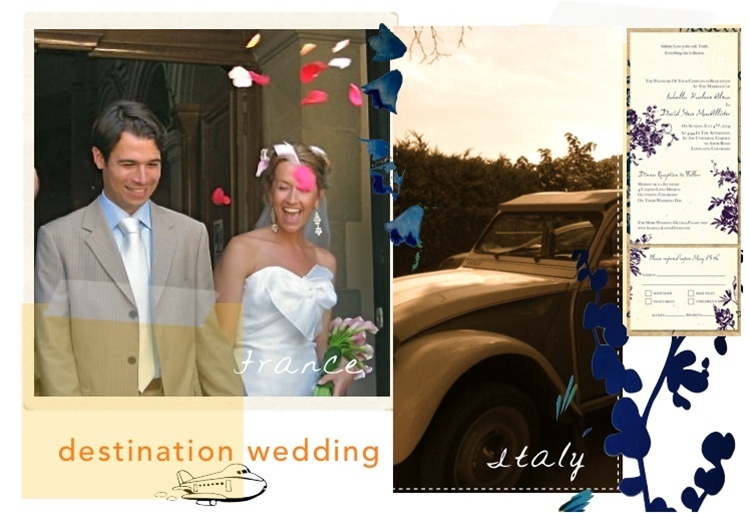 Getting married in France or on the slopes of the Colorado Rockies, you'll find the right theme for your special day. All of our invitations are offered in 100% recycled paper, non plantable. Matching complete stationery suites are always available.